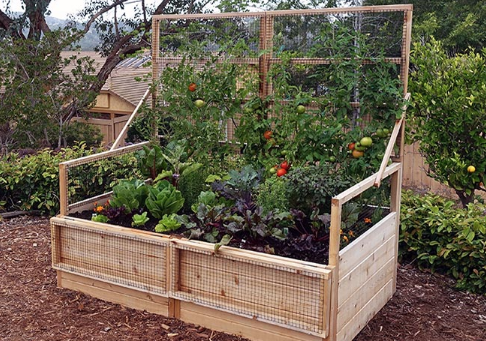 Our 6 x 3 Trellis Lid is the perfect compliment to our regular 6×3 Raised Garden Bed. Keep pesky critters big and small out of your garden when your plants are young and lid is down. As your plants grow, turn your lid into a 71 inch tall handy trellis for any tall climbing plants. The Trellis Lid can easily opened and closed with 2 included Western Red Cedar Arms.